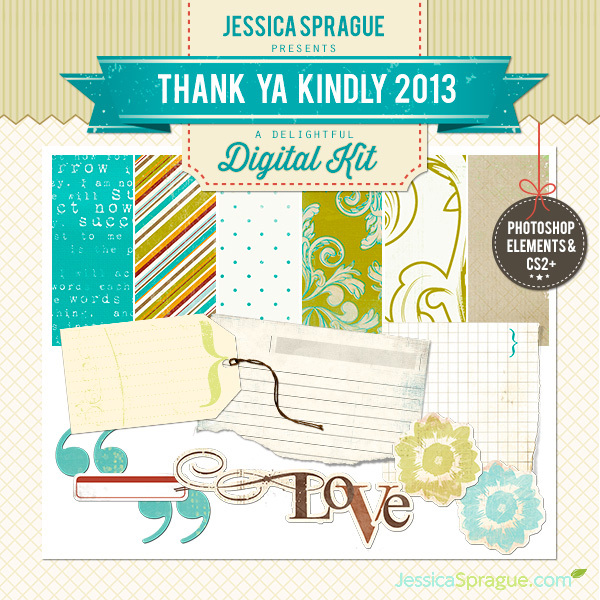 Almost every year since 2009, my team and I have conducted an annual digital scrapbooking survey. We gather information about everything from products to pricing, from classes to site/community features. And we LOVE to hear what you think! What do you wish for? What do you love? How can your experience as a digital scrapbooker or hybrid memory keeper improve? I would love for you to hop over and take our 2013 survey today! It will take you about 10-15 minutes, and in exchange, I would love to hand over this LOVELY digital kit I made with my own two hands. The survey will be open until March 24, and we are dying - DYING! - to hear what you think! Many loves and hugs, sweet friend! Click here to take the JessicaSprague.com Annual Survey!